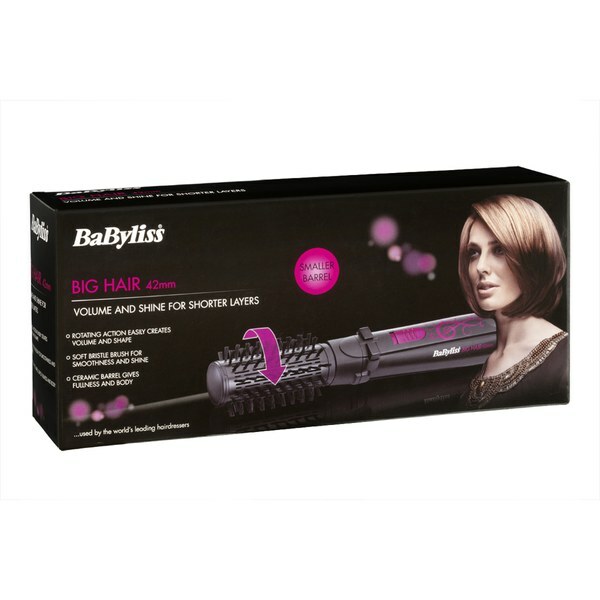 Achieve salon style results with the Big Hair Airstyler from BaByliss, a brand that combines high fashion styling with outstanding quality. Designed with a 42mm rotating ceramic barrel and two revolving speeds to add body and bounce to fringes, shorter hair and longer locks with layers. Featuring advanced ionic technology to control static and frizz, the wand transforms dull and limp hair into voluminous, silky locks. 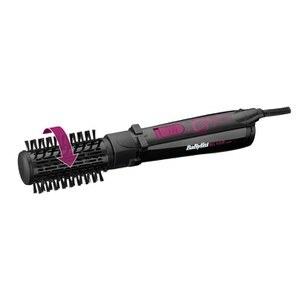 The styling tool has two heat settings, one for initial drying and the low heat to style hair. Additional features include a cool setting to set your desired hair style for a long-lasting, professional finish and a multi-directional brush with soft bristles to create fullness and smoothen locks. Complete with a protective cover for storage. E.N.